Super Noodles are the generic name for dehydrated instant noodle snack, made by Batchelors in the UK (previously made by Kellogg’s) and sold under theMcDonnells brand in the Republic of Ireland. They are prepared by being placed in a saucepan of boiling water, adding the sachet of flavouring, and stirring. Super Noodles can also be cooked and prepared using a microwave oven. 1980s Kelloggs Frosties – They’re Gr-r-reat! Kellogg’s Frosted Flakes is a breakfast cereal, produced by the Kellogg Company and consisting of sugar-coated corn flakes. It was introduced in the United States in 1951, as Sugar Frosted Flakes. The word “sugar” was dropped from the name in the 1980s. Tony the Tiger has been the mascot of Frosted Flakes since its introduction. 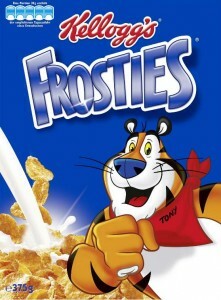 Tony is known for uttering the cereal’s slogan: “They’re Gr-r-reat!” (pronounced as one elongated word, not a stutter). Tony the Tiger was originally voiced by Dallas McKennon, but Thurl Ravenscroft voiced him for more than 50 years, until his death in 2005. Tony is currently voiced (in Canada and the US) by former professional play-by-play announcer Jim Van Horne. 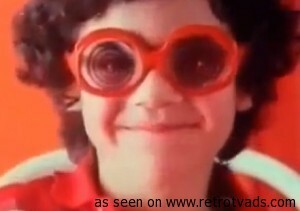 Van Horne also voiced Tony in a 1997 television commercial. In the UK, Tom Hill voiced Tony after Ravenscroft’s death. 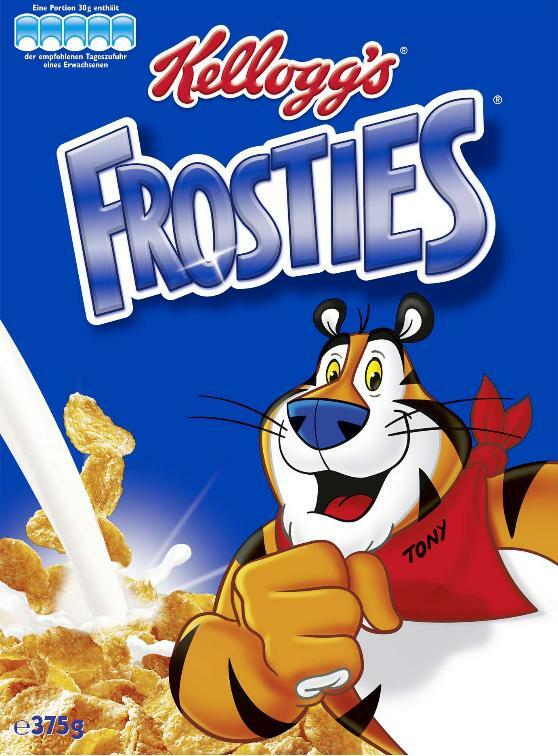 Tony is drawn wearing a red scarf on all Frosted Flakes cereal boxes. Another character, Katy the Kangaroo, was on the Frosted Flakes box for a short time. 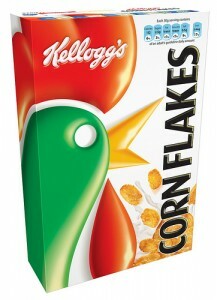 The accidental legacy of corn flakes goes back to the late 19th century, when a team of Seventh-day Adventists began to develop new food to adhere to thevegetarian diet recommended by the church. Members of the group experimented with a number of different grains, including wheat, oats, rice, barley, and corn. In 1894, Dr. John Harvey Kellogg, the superintendent of The Battle Creek Sanitarium in Michigan and an Adventist, used these recipes as part of a strict vegetarian regimen for his patients, which also included no alcohol, tobacco, or caffeine. The diet he imposed consisted entirely of bland foods. A follower of Sylvester Graham, the inventor of graham crackers and graham bread, Kellogg believed that spicy or sweet foods would increase passions. 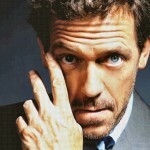 James Hugh Calum Laurie, OBE (born 11 June 1959), known as Hugh Laurie , is an English actor, voice artist, comedian, writer, musician, recording artist and director. He first became known as one half of the Fry and Laurie double act, along with his friend and comedy partner Stephen Fry, whom he joined in the cast of Blackadder and Jeeves and Wooster from 1987 to 1999. 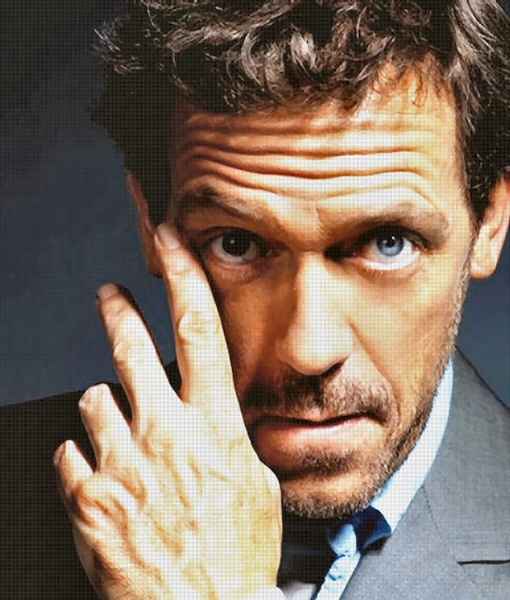 From 2004 to 2012, he played Dr Gregory House, the protagonist of House, for which he received two Golden Globe awards, two Screen Actors Guild awards, and six Emmy nominations. He has been listed in the 2011 Guinness Book of World Records as the highest paid actor ever in a TV Drama, earning £250,000 per episode in House, and for being the most watched leading man on television. The accidental legacy of corn flakes goes back to the late 19th century, when a team of Seventh-day Adventists began to develop new food to adhere to the vegetarian diet recommended by the church. Members of the group experimented with a number of different grains, including wheat, oats, rice, barley, and corn. In 1894, Dr. John Harvey Kellogg, the superintendent of The Battle Creek Sanitarium in Michigan and an Adventist, used these recipes as part of a strict vegetarian regimen for his patients, which also included no alcohol, tobacco, or caffeine. The diet he imposed consisted entirely of bland foods. A follower of Sylvester Graham, the inventor of graham crackers and graham bread, Kellogg believed that spicy or sweet foods would increase passions.